When asking home buyers their number one wish list item most will say they want an open-concept living space. Open-concept floor plans suit modern lifestyles and offer a number of benefits that older, compartmentalized homes just can’t match. Flow, space, light and unobstructed views are among the top reasons open-concept living is so popular today. For those who love to entertain or just want to keep an eye on the kiddos while cooking a space that combines living, kitchen and dining areas makes daily life easier and more enjoyable. 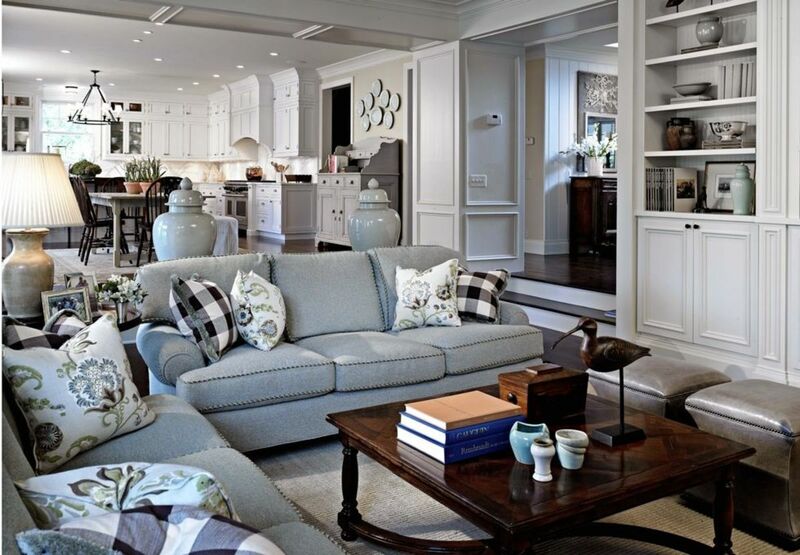 As wonderful as open concept homes seem, decorating one large, uninterrupted space can be quite challenging. Make the most of your open-concept living space by maintaining a cohesive design throughout while creating visual separation to subtly delineate each area. 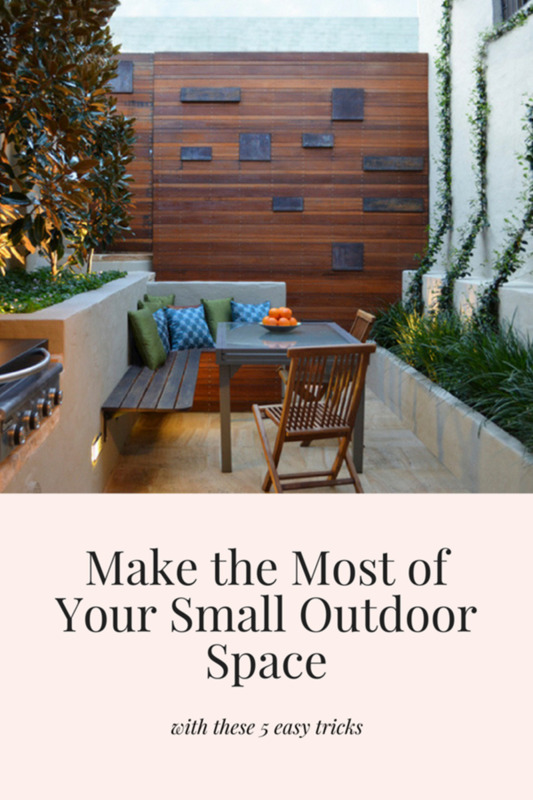 Look at your space noting the size, layout, and any architectural dividing lines. Determine how many functions the space will serve based on the square footage. 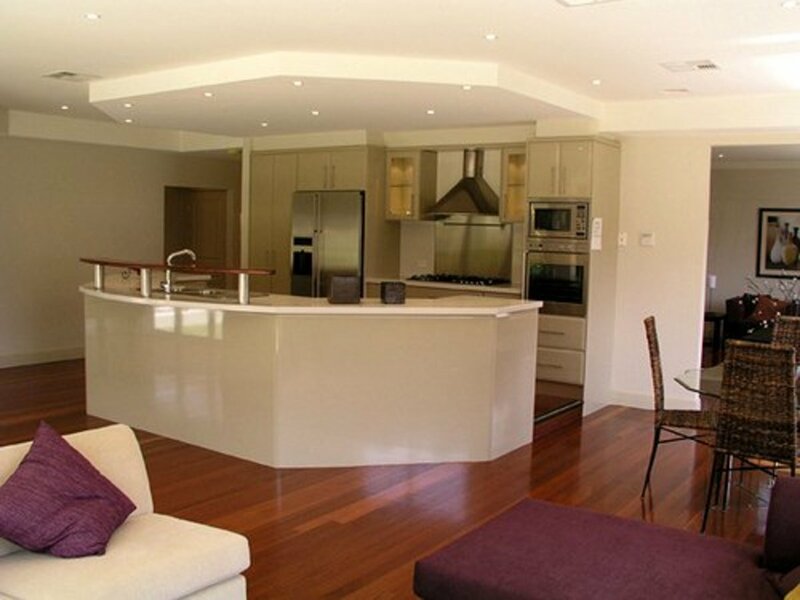 If your open plan is extremely large you may be able to designate separate areas for TV viewing, dining, and relaxing. 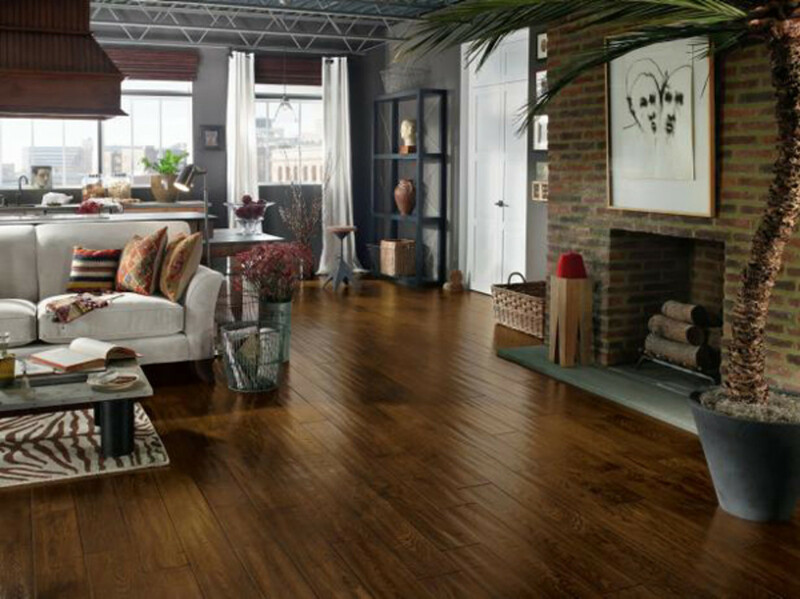 Take advantage of walls, columns and variations in flooring to dictate different "room" functions. If you have a wall that juts out use it to divide the space into two separate areas. Similarly, the dividing line from a tile to wood floor provides a natural line of demarcation between spaces. Consider technology and locations for electrical outlets when planning the function for each specific space. Make note of the placement of cable and Internet connections, phone and ceiling junction boxes to determine an area’s use. They will dictate where your media area, computer center, and lighting will be located. Tell a consistent color story. If you want to simplify your open-concept floor plan, keep the wall color the same all through the space. If your walls have distinct breaks or angles, you might want to consider a monochromatic paint palette. 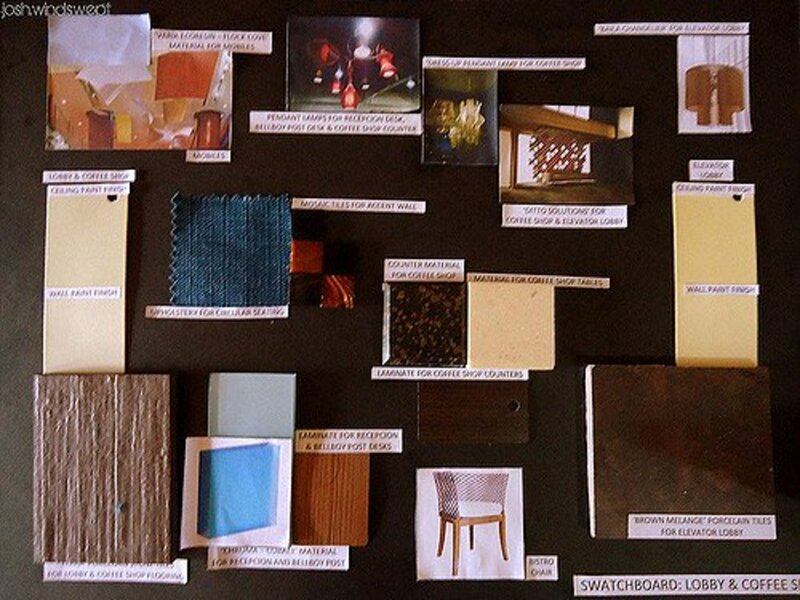 Use subtle variations of the same shade to indicate a focal wall or where one “room” ends and another begins. Coordinate your primary seating upholstery with those of your dining or breakfast nook chair covers. Use area rugs in complimentary colors. Take a cue from your kitchen cabinets and carry that wood tone into living and dining furniture. While each area in an open concept floor plan should retain its distinct personality, the use of a unifying color palette creates a sense of flow from area to area. Try neutral colors for large-scale furnishings to maintain continuity throughout. Jewel tones in accessories and artwork add small bursts of vibrant color to create visual interest and movement in a large expanse. Select furnishings and small touches that give each area a singular presence, while creating a cohesive flow from space to space. Pretend you are decorating a single room and keep furniture and accent pieces in the same style. Try not to be too matchy-matchy but make sure the elements are consistent. If you have a kitchen with a sparkling, glass tile backsplash, European cabinetry, leather and chrome barstools and stainless appliances, carry that look into your dining and living areas with a sleek, streamlined furniture and minimal accessories to create dynamic, contemporary vibe. Another great trick is to use area rugs to define separate areas within an open floor plan. Use two identical or coordinating area rugs to delineate your living and dining rooms. 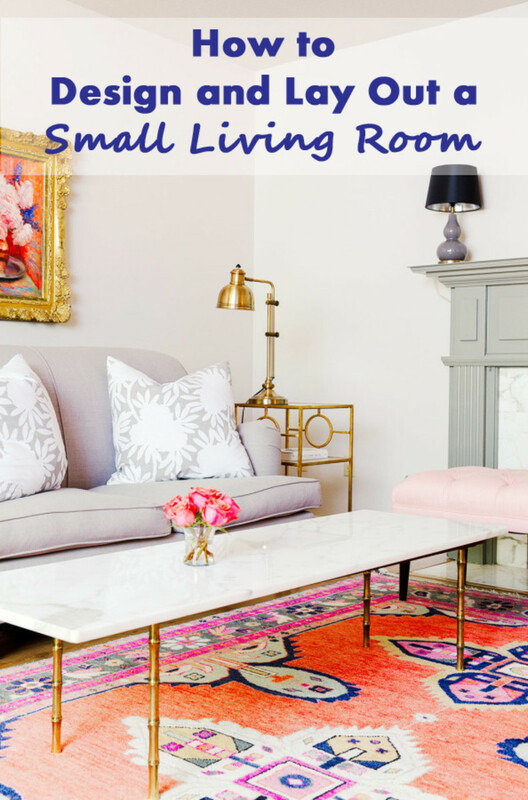 Rugs don’t have to be huge, just large enough to anchor the furniture in each space. The gap between rugs actually serves to help divide the spaces, creating a visual traffic path between two areas. Create separate areas based on function. 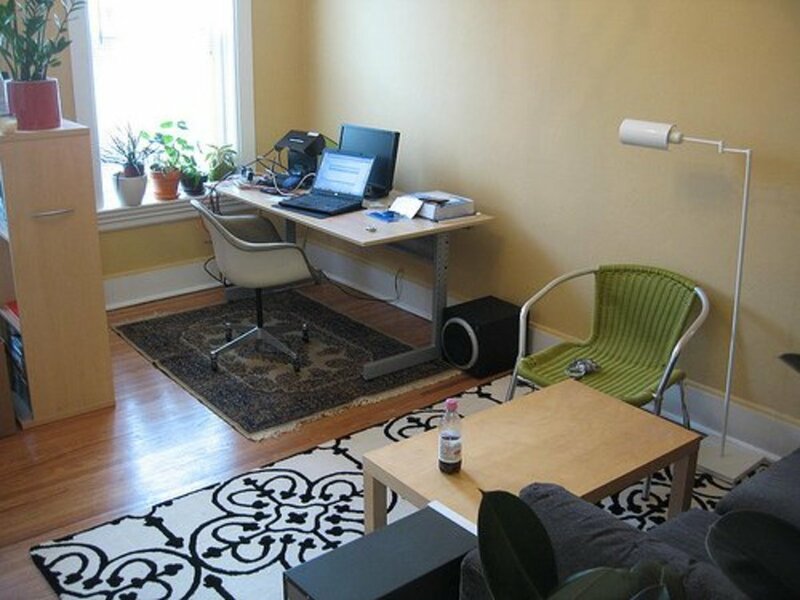 Use furniture groupings to define your “rooms” allowing enough space between each to accommodate traffic flow. Avoid shoving your seating against the walls. Open plan seating areas look best when situated within the space and well away from the perimeter. 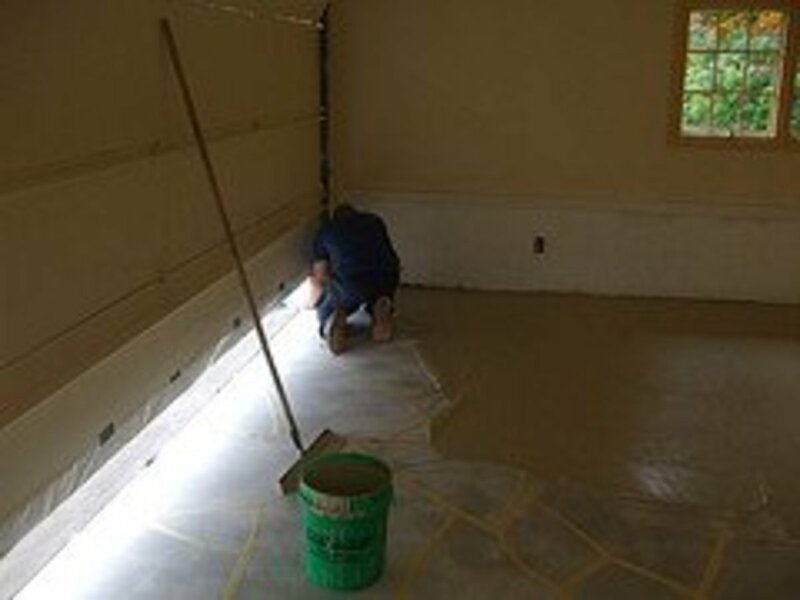 Outline each space with painter’s tape on the floor to determine the optimum placement of furniture pieces. If you feel the effect is still too cavernous, bring in freestanding shelving units to establish a greater sense of separation between each area. These clever dividers will create visual definition without obscuring sight lines. Create a sense of walls by incorporating decorative folding screens. They come a variety of lengths and heights. You can choose a style and material to suit any decor from ornately carved wood, antique Chinese, upholstered fabric, rice paper or slatted just to name a few. If you want something more permanent, consider ceiling mounted room dividers that operate on a track system. 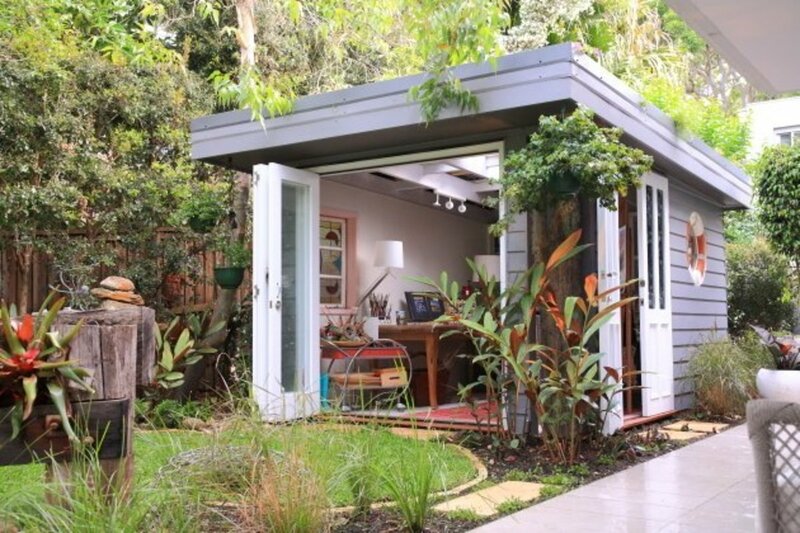 This will also give you the option of opening and closing off rooms to suit your needs–say, for an intimate dinner party or to provide daytime privacy for a home office. If you're on a tight budget, simply install curtain hardware and panels from the ceiling. Lighting offers a discrete way to identify and separate each designated area within a large space. Choose fixtures that coordinate with one another to maintain a consistent look. A single chandelier over the dining table will provide ample illumination for mealtime. 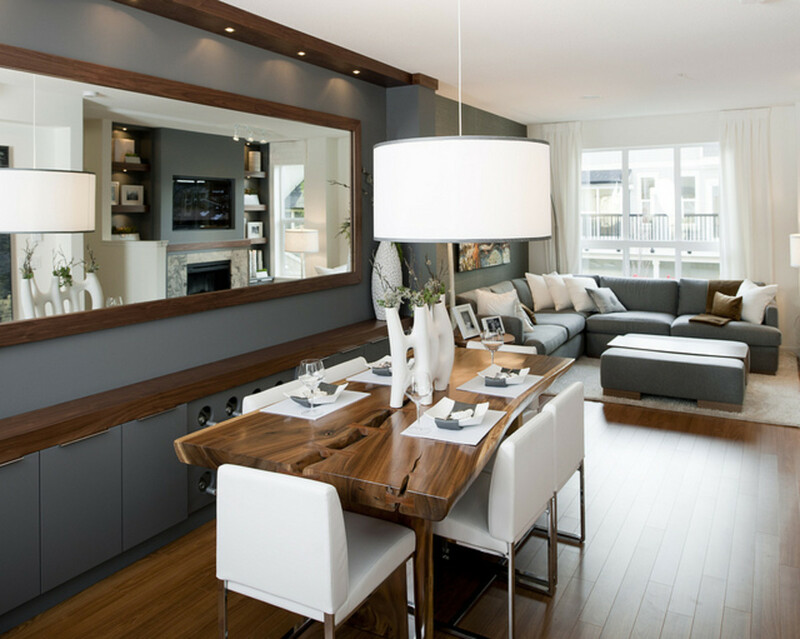 Try a long rectangular pendant over your dinner table to delineate the dining room. Separate the kitchen from other areas by installing a row of pendants above the kitchen island. Employ recessed and under cabinet fixtures to enhance the space and keep the resident gourmet happy. Ceiling mounted lighting fixtures can also break up spaces within an open floor plan. In the living area combine a lighted ceiling fan with recessed lighting, floor and table lamps to handle all your families lighting needs. Choose a distinctive drum pendant hung low over the coffee table or a retro arc floor lamp to create a cozy conversation area. As with paint color in an open-concept space the best advice is to keep it constant by using uniform window coverings. If you prefer curtains, stick with the same fabric, color and pattern on each window. For extra privacy, light control and insulation, layer curtains over natural wovens, cellulars, roller shades, Romans or wood blinds, depending on your decor style. For the ultimate in simplicity, install crisp, white plantation shutters on each window opening for a clean, casual look. Furniture Placement Advice From a Designer! So, the next time you are in the market for a new home, don’t be hesitant to consider an open floor plan. You are now equipped with the knowledge and confidence to decorate those spaces like a pro. I came back to take another look at this useful information as we may be moving to an open floor plan next year. I like the idea of delineating space with area rugs and subtle use of wall color. Even the room dividers are interesting. Thank you! I love the subject of home design. I like open floor plans. 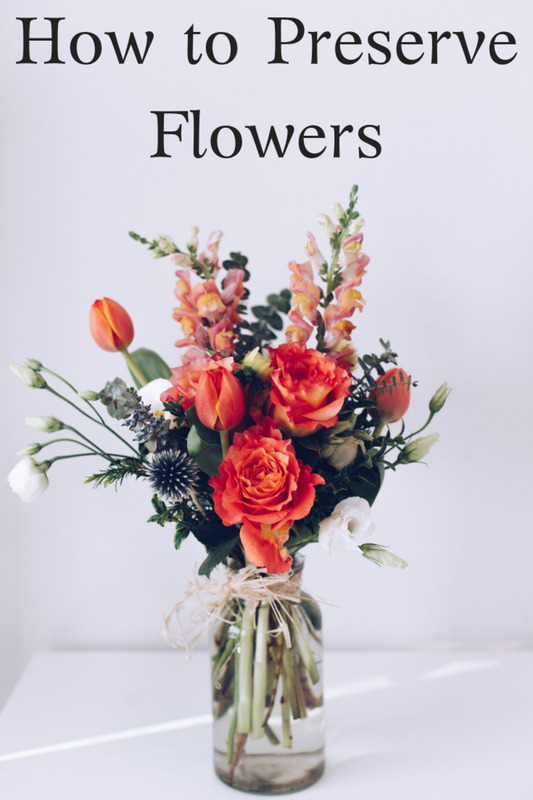 They're flexible, and as long as you take care in the arrangement, they can look nice! I love your home décor series and this one is no exception. I like the suggestion of planning the space, creating flow and defining with area rugs. What a clever stretched canvas room divider! Great ideas here--marked for future reference. Voted up across the board and shared. This is really great and I love the roominess! These are great tips, Linda! Decorating an open floor plan can be fun and challenging at the same time, I think. On one hand, it allows lots of flexibility and room for creativity. On the other hand, such a large empty space can be overwhelming if one isn't quite sure where to start. 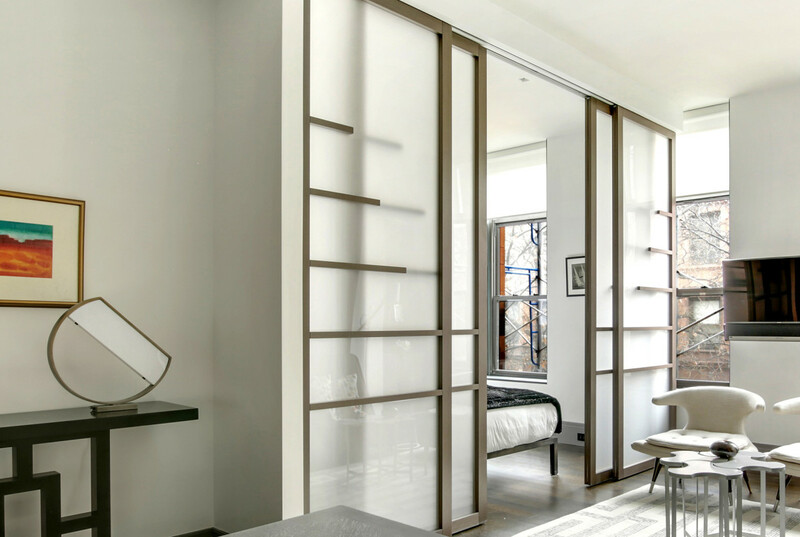 I like that bedroom with an asymmetrical canvas divider. So chic! I love the creative ideas presented in this hub. Really beautiful. I have a semi-open floor plan as my kitchen is enclosed but opens into the living room a little, and I've employed most of what is mentioned here. It's practical and really does work ! I may need to look into the stretched canvas as room divider for my kid's room. Great hub. Voted up, beautiful and useful.